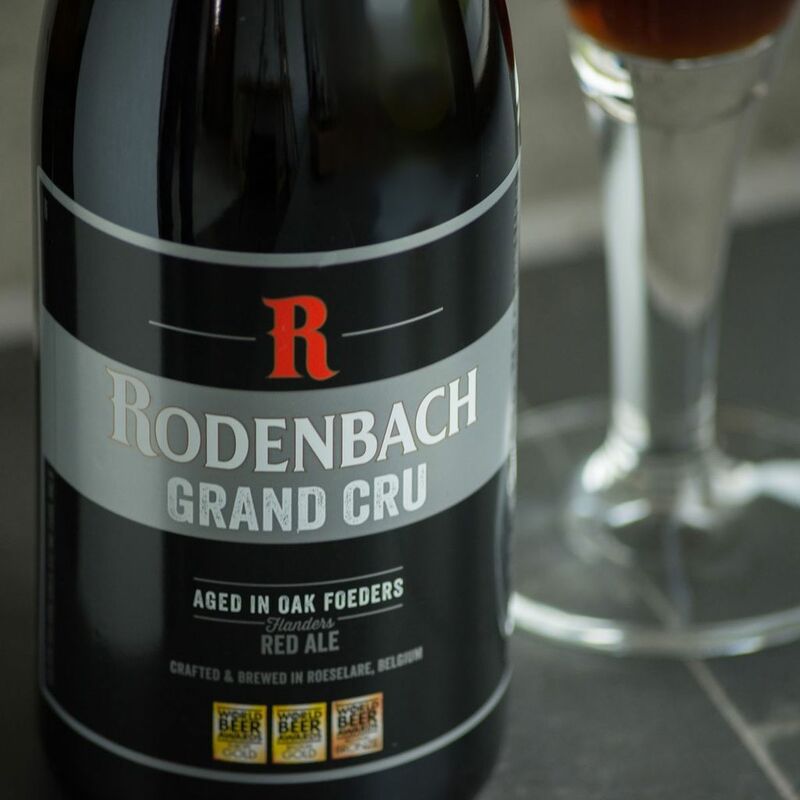 Award Winning* Rodenbach Grand Cru (Alc. 6% Vol.) is a blend of “young” beer (33%) and an older beer (67%) that has matured in oak vats. 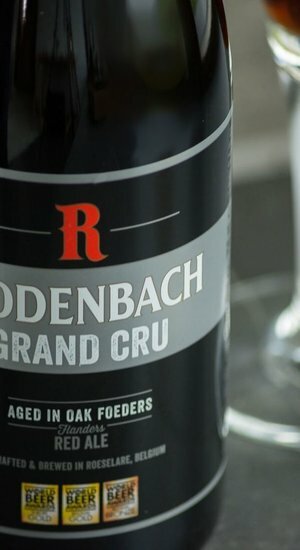 It is the high percentage of the older ripened-in-oak beer that gives it the complex and intense bouquet with a very long aftertaste like a Grand Cru wine. This is a complex beer with lots of wood and fruity esters, wine-like and with a balsamic vinegar aroma. A sharp taste, fruity, refreshing and with a balanced Madeira-like sweetness.